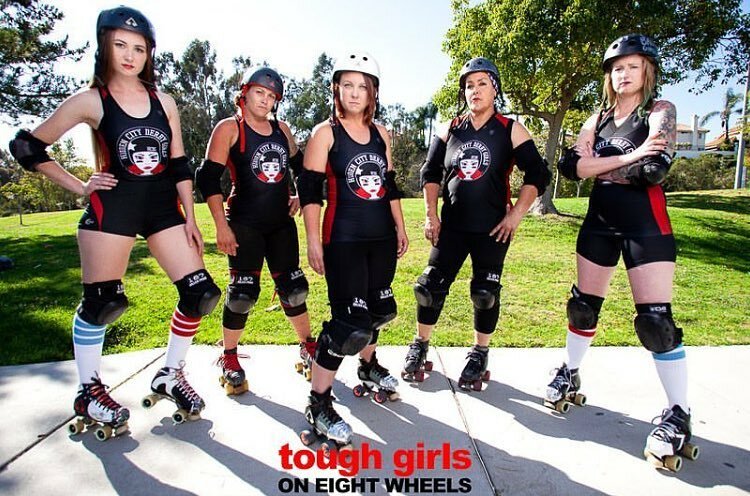 Hidden City Derby Girls is north San diego’s original roller derby team. Founded in 2008 by cousins Rosey Graves and Mortisha Demolitia, HCDG represents all women and strives to create an all-inclusive environment that puts friendship, sisterhood, teamwork, and passion for the sport first and foremost. From accountants to students, to stay-at-home moms and teachers, our many different walks of life roll together for the shared love of all things roller derby. HCDG is committed to supporting North County. From skate-a-thons to toy drives, and from volunteering for different organizations in the area to donating a portion of proceeds from our events, we are passionate about the community where we skate. In 2018, we became a nonprofit organization to better serve our community. work hard. play hard. hit hard. POR VIDA! Hidden City Derby Girls practice and play at Martin Luther King Skatepark in Oceanside, CA.